Avg. Group Discount of 15.4%! Enjoy small-town charm and the perfect weekend getaway when you book a room at our Travelodge Ukiah hotel! Located off U.S. Highway 101 in Mendocino County, our pet-friendly Ukiah, CA hotel near Coyote Valley Casino offers you easy access to top attractions and restaurants. 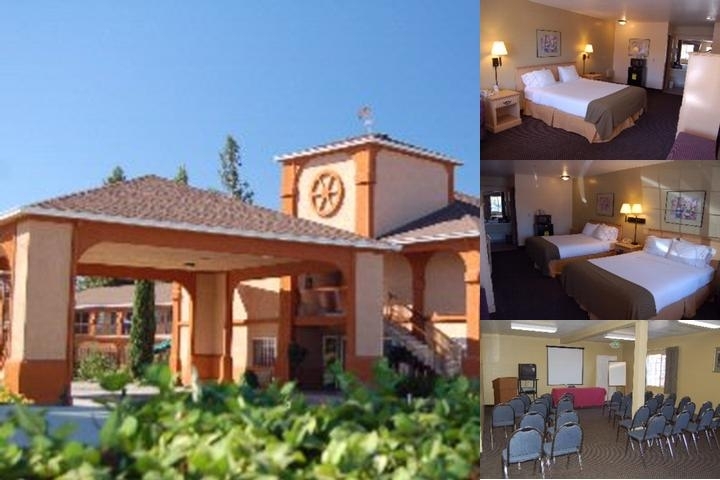 Our central location makes us a top choice among Ukiah hotels and motels! Ask for a wake-up call and get out of bed in time for our free Bear Bites breakfast, featuring hot items like eggs, sausage and French toast. Connect with your friends and family using our free Wi-Fi Internet access. Put a few miles on one of the treadmills in our fitness center or relax in our outdoor pool and hotel hot tub. Keep your clothes fresh using our guest laundry facility. Guest rooms at our hotel in Ukiah, CA are equipped with microwaves and refrigerators, and non-smoking and handicapped-accessible rooms are available. Spend a day on the fairways of Ukiah Golf Course and see if you can shoot under par. Head to Ukiah 6 Theatre and see the latest films. Put on your best poker face and try to win big at the Coyote Valley Casino, or choose to give up your winnings at the City of Ten Thousand Buddhas, one of the largest Buddhist communities in the Western Hemisphere. Enjoy friendly service, a varied menu and home style cooking when you visit Jensen's Restaurant. Take in the contemporary atmosphere, local wine selection and homemade meals of the North State Cafe. If you want a great cup of coffee, the Coffee Critic is your place to go. Get a great deal on nearby restaurants, offering cheap and fast food as well as full service dining. Our Ukiah, CA hotel offers free shuttle service to local destinations. Our hotel offers a meeting room ideal for conferences, presentations and banquets. A business center equipped with copy and fax services is also available. 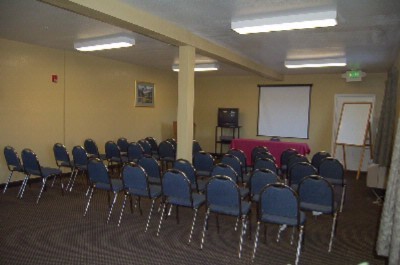 Below are the meeting, banquet, conference and event spaces at Travelodge Ukiah. Feel free to use the Travelodge Ukiah meeting space capacities chart below to help in your event planning. Hotel Planner specializes in Ukiah event planning for sleeping rooms and meeting space for corporate events, weddings, parties, conventions, negotiated rates and trade shows. 33 x 19 x 9 Ft.